Discussions of critical and timely issues related to aviation safety and aviation security, including fear of flying, plane crashes, ongoing accident investigations, and air travel risk. Below are links to the three most recent podcast in the series. 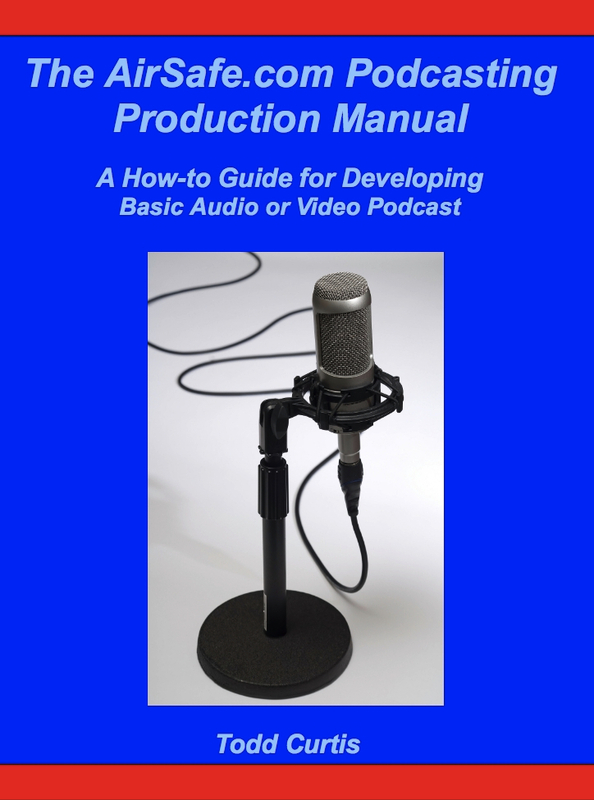 In 2011, AirSafe.com produced the ebook ,The AirSafe.com Podcasting Manual, that laid out a systematic production process that makes it easier for an individual or an organization to sustain a podcast over the long run.